It’s party time at LEAP and Megazone! Let us give your Birthday Boy or Girl an amazing birthday experience. We have a variety of party packages to choose from as well as themed party rooms available for hire. Should you not need a party room, you are welcome to bring your own food, cake and non-alcoholic drinks and enjoy your refreshments at one of our bbq tables after your activities. Our bbq tables are free of charge to use, but we are not able to reserve these for you. You are able to enjoy any of our activities as part of your party package. How about one of our combo options - or pick individual activities. Party Room hire is $50 for 45 minutes (15 minutes for us to clean up before the next party). Our party rooms are normally booked for a time after everyone has completed their activities. We currently have a Subway Catering option available courtesy of our local Te Rapa Subway store. The Subway Party Pack costs $12 per person and includes the following: 6" Sub (ham salad, ham & cheese, beef salad, turkey salad or vegetarian), a cookie, a juice, snack bag of popcorn and a chocolate bar. Our team will collect the Subway packs ready for your feast, giving you more time to have fun! Minimum of 8 Subway party packs per order, ordering in advance essential. Subway Party Packs includes a 6″ sub white roll (ham salad, turkey salad, beef salad, vegetarian or ham&cheese), cookie, small box of apple juice, small bag of popcorn and a Fredo Frog chocolate. We require a minimum of 8 packs to be ordered. Our Party Rooms are available for hire after all the party goers have finished their activities. Party Room Hire costs $50 for 45 minutes (this leaves 15 minutes for our Team to clean up before the start of the next party) Our Party Rooms seat 12 children and also have additional chairs and tables should you need them. 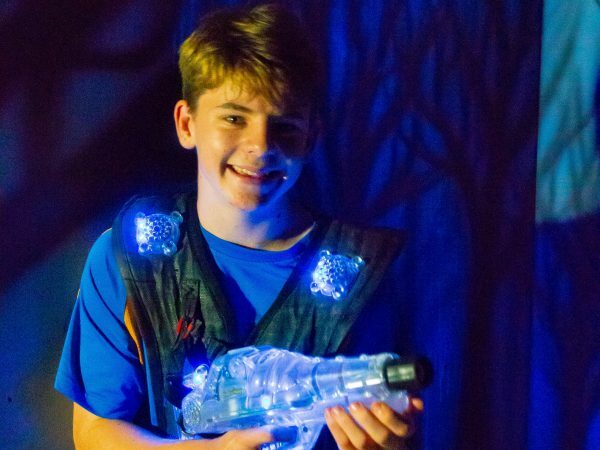 Check out our glow-in-the-dark Laser Tag arena where you can unleash your InfraRed fury, stalk your mates and other unsuspecting victims during a variety of games designed to keep you buzzing laser style. 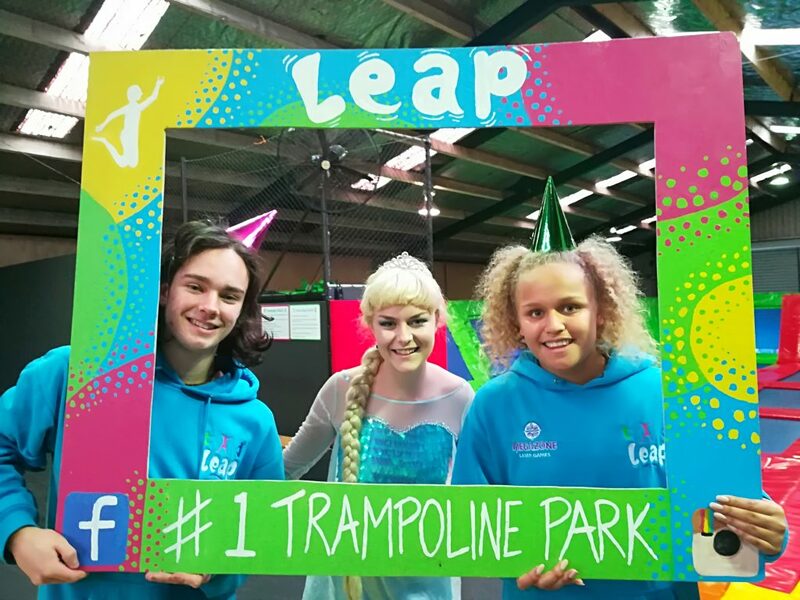 Our main LEAPing areas have heaps of interconnecting trampolines including side tramps, for you to bounce over, across, around, along and onto. Pre-school aged children (4yrs and under) can enjoy quality leaping time on the main trampoline park without the bigger kids on Tuesdays and Fridays from 10am – 12pm during term time. Large inflatable slide for kids under five, plus huge inflatable boot-camp style obstacle courses for adults and kids. During every general session we’ll be running Dodgeball games which are open for everyone to join in with. Yes you heard right, Dodgeball on trampolines… sweeeeet! Perfect for presents! Simply select your preferred voucher below, go through the secure payment portal and the voucher will be emailed to your nominated recipient...easy! Please note: If you enter the recipients email, the voucher will be sent straight to the recipient.